Honor among thieves, love amongst scoundrels…Keith Richards has carved an encompassing survey of his own spirit and set it to a vast set of influences for all to see. Country, spiritual, rock both voodoo and drivetime; it’s a masterfully messy mash-up, yet the contemporary grime and gravel caking ‘Crosseyed Heart’ is quintessentially Keef. 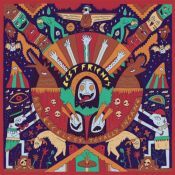 It's a winningly low-key record, where the atmosphere matters more than the songs, yet Richards doesn't neglect writing tunes this time around. A terrific album, worthy of one of rock’s founding fathers. After more than 50 years as an essential member of the Stones, 71-year-old Richards finally seems to have matured his own individual musical identity. His most eccentric and best-ever solo set. 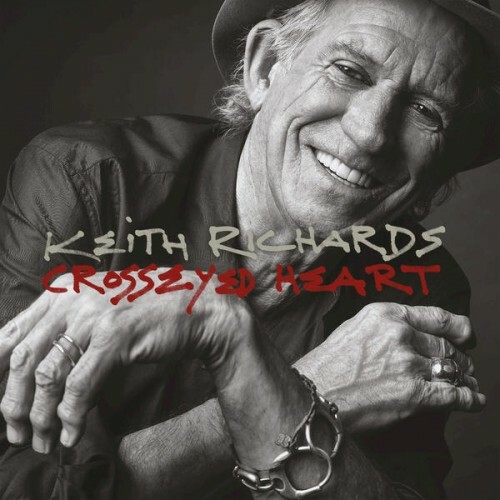 Crosseyed Heart is the sound of Richards following his pleasure wherever it leads. Like previous Richards solo albums, Crosseyed Heart has its limitations and shortcomings. Some ideas get recycled throughout the record, and there’s a tighter 10-track LP in there if listeners care to edit for themselves. At my age, with my upbringing, I have to like the sound of this. I know that from an artistic point of view... never mind that. And, by the way "It's only rock'n'roll." Purchasing Crosseyed Heart from Amazon helps support Album of the Year. Or consider a donation?